White collar crimes are generally crimes of theft or fraud that are committed by individuals doing the course of employment or when the individual takes advantage of privileges afforded because of being in a position of trust, like access to financial accounts or business computer systems. Some common types of white collar crimes include forgery, identity theft, money laundering, embezzlement, bank fraud, wire fraud, mail fraud, bribery, mortgage fraud, healthcare fraud, certain computer crimes, and offenses under the Racketeering Influenced and Corrupt Organization (RICO) Act. Because of the characteristics of white collar crimes, they are generally nonviolent, which is why there is a common misconception that individuals convicted of financial crimes face more lenient sentences than those convicted of violent or blue collar offenses. If this was ever true, it isn’t anymore. Thanks to the attention which has been given to recent major financial scandals that have destroyed lives, white collar crimes – even those committed without violence – are very serious offenses in the state of Nevada and are often prosecuted to the fullest extent of the law. This is why anyone who is accused of a white collar offense in Nevada needs the legal counsel of a team of attorneys like the ones with the Fletcher Firm. The Fletcher Firm’s attorneys have represented a variety of clients facing a variety of white collar charges in the past and they are ready and willing to help current suspects of white collar offenses defend against new charges. If they are successfully convicted of a white collar offense, most individuals will face a prison sentence between one and 20 years, fines up to $100,000 and certain other costs like restitution, which is the repayment of funds to the victims of the offense to compensate them for their losses. Sometimes, desperate people “borrow” money from their work with every intention of repaying it. In scores of embezzlement cases, defendants never meant to steal the money permanently. Legally speaking, embezzlement is slightly different from theft. If you take property with the intention of keeping that property, that’s theft. But if you had legal permission to hold the property before you decided to steal it, Nevada law calls that “embezzlement.” If you’re convicted, however, the distinction is irrelevant; embezzlement is punished precisely the same way theft is punished in Nevada. Embezzlement cases are rarely “open-and-shut” cases. Sometimes a defendant has been framed by a jealous co-worker. In other cases, money has been stolen without anyone’s knowledge, and an innocent person is blamed. Once you’re charged with embezzlement, the state has to prove beyond a reasonable doubt that you are guilty. Unlike common theft, embezzlement typically involves some kind of abused trust, subterfuge, or deceit. Given the complexities that surround embezzlement cases, it is imperative to have experienced legal representation and a proven, aggressive defense strategy. Wire fraud is one of the most common white-collar crimes. Penalties can include lengthy federal prison time and exorbitant fines. Wire fraud is just what it sounds like: when a fraud is conducted using a wired communications medium. A typical example is a lottery scam: people are sent e-mails asking for their credit card information before they can collect a prize. Of course, no one ever receives any prize, and the criminals use the card numbers for a buying spree. To be found guilty of wire fraud, a defendant must have intended to defraud the victim. The law is not meant to punish honest mistakes or accidents; only defendants with demonstrable malicious intent may be convicted. Defendants are often charged with wire fraud in conjunction with other crimes such as foreclosure fraud, health care fraud, mortgage fraud, and money laundering. Insurance fraud in Nevada includes a number of crimes: fraudulently obtaining public benefits, falsifying accident or insurance claims, fraudulent Medicaid or healthcare billing, and overcharging for healthcare services or accepting any kind of kickbacks. 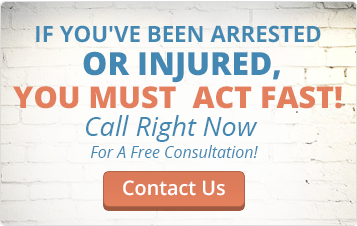 If you’re interrogated about insurance fraud, or if you’re arrested, do not answer any questions until you have the counsel of an experienced criminal defense lawyer. Insurance fraud is a serious crime. Those convicted can face lengthy prison terms and harsh fines. Convicted healthcare professionals can lose the right to work in the medical field. Under federal law, “bank fraud” occurs when someone knowingly pursues a “scheme or artifice” to defraud a financial institution or to obtain money or other property from a financial institution under false premises. Bank fraud is considered a “white-collar” crime distinct from bank “robbery” because the fraud is conducted without violence. In fact, bank fraud can sometimes be charged without the accused ever setting foot in a bank. Bank fraud schemes can include check-kiting, fund diversion, phishing, booster checks, and accounting fraud. Overwhelmingly, most tax returns include information entered on the wrong line, transposed numbers, and similar, easy-to-make mistakes. Let’s face it; tax laws are complicated, and even a tax lawyer can make an honest mistake. The IRS expects this and doesn’t automatically assume fraud, but the IRS will nevertheless act to obtain any unpaid taxes. If you’ve made an honest mistake on a tax return, and if you’re charged with tax fraud, arrange to speak at once with a good criminal defense lawyer who regularly represents white-collar defendants accused of financial crimes. If someone steals and uses someone else’s identification documents or ID information for his or her own gain, that’s identity theft (also called identity fraud). It typically happens after someone has stolen another person’s identifying information from public records, online sources, the mail, personal documents, or even the trash dumpster. The thief then impersonates the victim to access financial accounts or establish new accounts and run up debt. Identity theft can ruin a victim’s credit. If you are charged with a white collar crime, consult right away with an experienced Nevada white collar attorney. In addition to the loss of freedom and financial costs that can be associated with being convicted of a white collar offense, suspects of these types of crimes also face considerable challenges adjusting to life after a conviction. A criminal record for a white collar offense can keep a person from working in a position of trust within a business ever again, and the social stigma attached to being a convicted felon can make it difficult for a person to get back to living a quiet, private life. Plus, convicted felons lose several rights because of their status, including the right to vote, the right to purchase or possess a firearm, as well as eligibility for certain social programs, like government assistance or federally funded housing. Just because nobody was physically hurt by a white collar crime, those who are suspected of such offenses still can’t afford not to partner with an experienced white collar defense attorney. An attorney with experience defending against white collar charges can help the suspect understand the charges which are being faced, the potential consequences of the charges, the courtroom process, and the best legal options which are available. In court, the attorney will also speak and present a competent legal defense on the suspect’s behalf.